The parish church is the Priory Church of Saint Mary, Saint Katharine and All Saints, an architecturally outstanding building, built in the Decorated style and consecrated in 1361. It is a large building for such a village, but it is well maintained and increasingly sought after as a concert venue. Current worship at the parish church provides a sung Parish Communion from Common Worship on 1st, 2nd (when ‘traditional’ language is used), and 3rd Sundays; BCP Evensong on 2nd and 4th Sundays; an 8 a.m. BCP Holy Communion on 4th Sundays; and an all- age Service (eucharistic once a quarter) on 4th Sundays. The tower has a peal of ten bells. The Edington Festival of Music within the Liturgy takes place during one week in August, when there are four Services daily supported by three choirs comprising individuals selected from some of the Cathedral and Collegiate choirs of the British Isles. Wednesday’s Evensong is broadcast live on BBC Radio 3 and is repeated on the following Sunday. The Fiftieth Anniversary of the Festival took place in 2005. 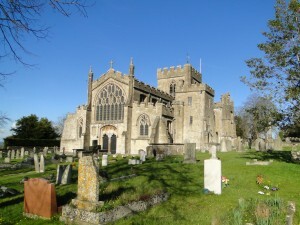 Further information about the Edington Music Festival can be found here. 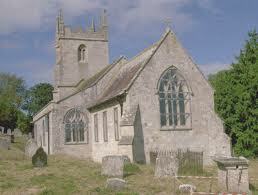 Further information about the Friends of Edington can be found here. There is also the redundant church of Saint Giles at Imber now vested with the Churches Conservation Trust (within the Salisbury Plain Military Training area), at which Services are normally held on the first Saturday in September. However, Saint Giles’ Church can only be reached when the Military Zone is open to the public: access being via the Bratton-Heytesbury or Gore Cross-Warminster roads.